When we survey our Veterans fiefdom for judicial uniqueness, we notice that in spite of what is described as a Veteran-friendly environment, we often manage to end up on the wrong side of it. 85% of you, to be exact. That’s the beginning statistic. It is becoming more and more apparent from Vet’s we survey that the cattle drive to denial is far easier to “grant” than service connection. Very simply, it is easier to stare at the ceiling than the file in front of you. It’s easier to not connect the dots than the obverse. Results? More claims “completed” and accuracy stumbles to record lows of 35-40%. The cattle are moving and statistics are proving the backlog is deincreasing slightly, imperceptibly. One thing we cling to in our humble journey though this is discovering a mistake. Not a little “We forgot to read him his VCAA rights but it was not prejudicial”. I’m talking an 81 mm magnesium flare mortar on a dry lake bed in the middle of nowhere-at night. My C-file before the Court of Veterans Appeals is eight volumes and 3715 pages long. Trying to find something incriminating is akin to the proverbial needle in hay. Going through each document is droll work but here it exposed a twenty four year old mistake with no question as to the blatant illegality. 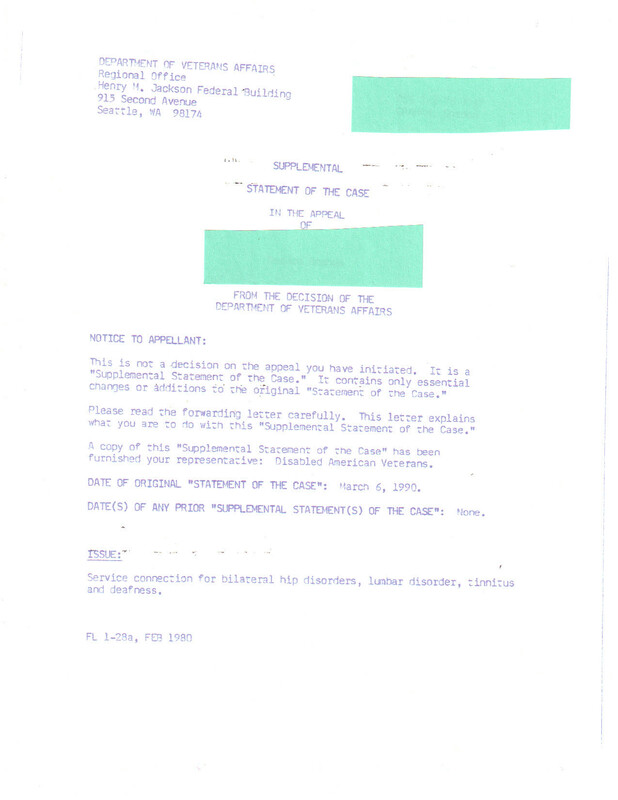 In 1989 when I filed, I assumed they had all my medical records, including my “off-road” records at far away Lima Sites and remote Operating Locations (OLs). 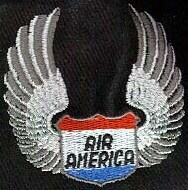 All of us in the Air Force would. We were very civilized in the 60s and 70s and prided ourselves on keeping track of their health and welfare. Once it was ascertained that they didn’t have a lot of them (95%), I requested what would now be called a DRO hearing. Back then, it took almost, gee two and a half months to get one. I got to see my SMRs for the first time (no copies for me) and there it was-or more precisely-wasn’t. No civilian hospital records of anything. I promptly submitted the address with my testimony and the transcriber dutifully noted it in the record. End of search. When they issued my Supplemental Statement of the case, they made no mention of the records- just a simple “Sorry, Nod but we cannot grant.” Obviously they had made no effort to assist in finding these records. I immediately contacted the hospital half way around the world in northwest Thailand person to person for $135.00 and in my best Thai asked for my records. 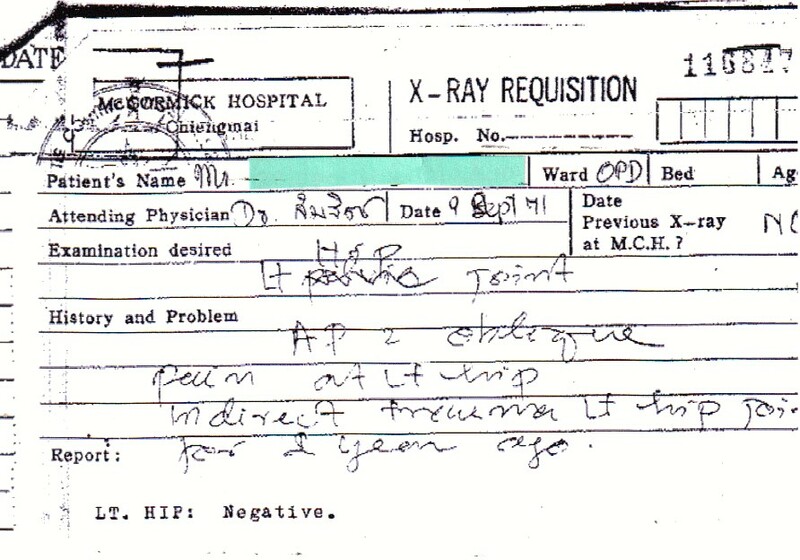 A week later a photocopy of one page came back showing my hepatitis (which I wasn’t claiming) and an X ray request for left hip dated 3 months after my injury(s). Here is where the VA made a clearly and unmistakably erroneous finding. These are rare because VA is usually careful not to leave incriminating evidence in your C-file. I received my very own copy in 2009 and the below wasn’t in there. Nevertheless, the Record Before the Agency, known as the RBA clearly reveals it. While digging through it page by page I spotted this and shared it with LawBob. Sure enough, in smoking black and white, on the 25th day of February of 1991, some dingbat decided that just because I had submitted some”private medical records” (PMRs) from a voodoo hospital written in Thai, that they did not constitute their definition of evidence (forever). That is a “finding”. Yet the VA has recognized those very same records as having established that I had hepatitis in service 18 years later. That is a “finding”, too. VA cannot have it both ways. Notice I’m Mr. Nod. No rank then. Everyone was Mr. Bill and Mr. John or Pilot Ralph. Life off the beaten track was far different in 1971. Uniforms were rare. This is the conundrum of a VA “finding”. WGM can tell you all about a finding. Once they found out his HCV was from willful misconduct (picking up an STD) they denied. 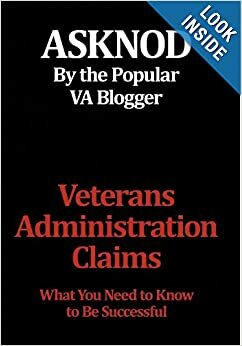 Once it was established that it was in bad taste (but not willful misconduct) to have contracted this, VA was still inexorably stuck with their finding- that the STDs were the culprit and that it occurred in service. What it was NOT was clearly and unmistakably erroneous to find that he was infected during service so that part had to stay in the record. This is called Openmouth Insertfinding disease. 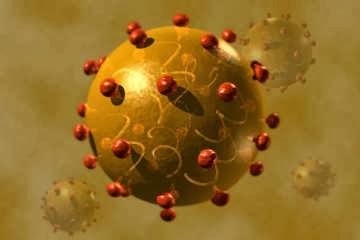 VA couldn’t suddenly NOT find the HCV was SC but rather due to sitting on dirty toilet seats after service. They had spoken, and unless the VA examiner wanted to fall on his sword (and he didn’t), WGM was now SC by a CUE TKO. Similarly, here, VA has made a finding that the PMRs are not evidence of a disease or injury in service- albeit in 1991. Both are evidence of what was described as clearly and unmistakably erroneous in Gilbert. This is an extremely high hurtle to get over. After you establish that it happened, you are obligated to prove that it manifestly changed the outcome of your decision. WGM’s was rather cut and dried. Mine was an arbitrary decision to exclude legitimate evidence from the record and someone in power signed off on it. This standard plainly does not entitle a reviewing court to reverse the finding of the trier of fact simply because it is convinced that it would have decided the case differently. The reviewing court oversteps the bounds of its duty . . . if it undertakes to duplicate the role of the [BVA]. . . . If the [BVA’s] account of the evidence is plausible in light of the record viewed in its entirety, the court . . . may not reverse it even though convinced that had it been sitting as the trier of fact, it would have weighed the evidence differently. Where there are two permissible views of the evidence, the factfinder’s choice between them cannot be clearly erroneous. Although the CAVC made clear in Gilbert that a BVA finding of fact may be clearly erroneous even though some evidence in the record supports the finding, later case law indicated that the court would rule that a BVA finding was clearly erroneous only if all of the evidence was against the finding. In other words, if the evidence was controverted, the Court would either let the BVA finding stand or remand with instructions to the Board to reconsider and prepare an adequate statement of reasons or bases for its finding. 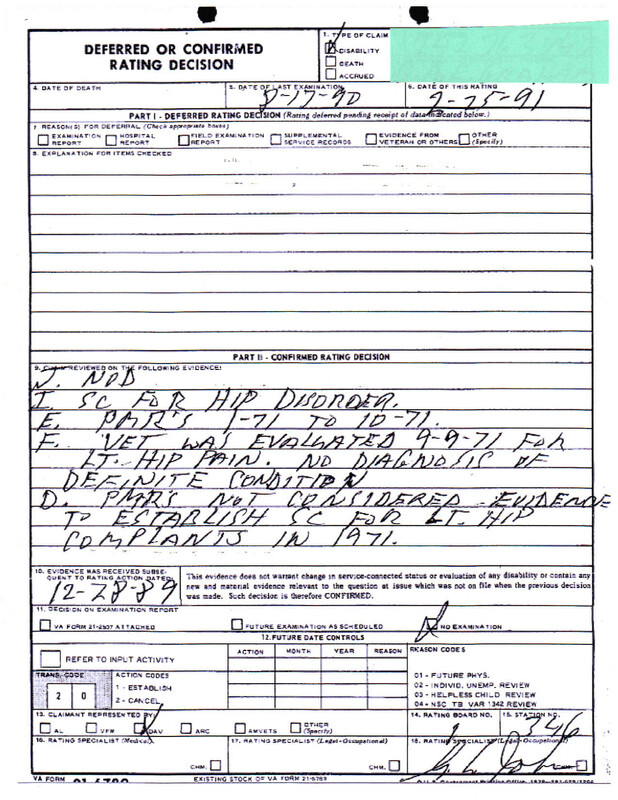 The BVA finding at issue in Padgett v. Nicholson was that Mr. Padgett’s right-hip injury was not related to his service-connected left knee disability. The record contained four medical opinions on this medical nexus issue. Opinions from two VA physicians were that the right-hip injury was not related to the left knee disability, while two private physicians stated that the right-hip injury was related to the left-knee disability. As an aside, remember in my book that I advocate having several nexus letters when you play poker with the VA. Here’s a classic example of how much work they’ll go to to deny Mr. Padgett. In determining whether the BVA’s finding was clearly erroneous, the Court evaluated for itself the relative probative value of each of the opinions. The Court observed that the two opinions in the veteran’s favor were from doctors with intimate knowledge of [the veteran] and his medical status; one had treated the veteran’s knee condition for over a decade; while the other had treated his right hip for over a decade. The Court contrasted these two opinions based on personal examinations and knowledge of Mr. Padgett’s pertinent medical and physical history with the two opinions from VA physicians. Although the first VA physician had examined Mr. Padgett, he did not review the claims file and made no mention of the material fact that the veteran injured his right hip in service. In the Court’s eyes, this rendered the opinion of questionable probative value. The probative value of the opinion was further diminished, according to the Court, by the use of non-definitive language; the opinion was couched in terms of what the evidence suggests, plus the physician stated that [f]or a more definitive opinion, it is suggested that a certified orthopedist review this case. The second VA physician’s opinion was also of questionable probative value because it was made without knowledge that the veteran injured his right hip in service. The Court then concluded that given the little probative weight, if any, that can legally and reasonably be accorded the opinions of the two VA physicians, as opposed to the opinions of [the two private physicians] that strongly support secondary service connection for the right-hip injury, the finding of the Board that the evidence preponderated against this claim is simply, not plausible and the Court has the definite and firm conviction that a mistake has been committed. VA uses different standards to determine these CUE errors. In WGM’s case, the VA erred in a factual finding. They misread law to put him on the wrong side of the fence. In my case they did something similar. The high standard needed to prove it is a finding by the Court that it was clearly and unmistakably in error and to point out the error of law. This, on the other hand, is done not by an error of factual finding but by the clearly erroneous standard (the sum of all the evidence) . The whole weight of the evidence comes down in favor with nothing of any substance pointing to a pre-existing condition or any other obvious event post service that it can be ascribed to. The VA in 2013 have constructed a perfect foil for most new CUE claims. Like a trained dog, they have learned from their mistakes and rarely repeat them in public. In my decision here, VA was on the ropes. This was less than a year after Congress created the COVA. Everything was in flux. Uncertainty ruled and the old way of adjudicating claims based on if you were a Senator’s relative or not were unsettled. Mistakes were made in public and just as quickly swept up and disposed of. How this could escape the C-file in 2009 and resurface in 2012 will remain one of those enduring mysteries of the file room. I call it Immaculate Reconception- it rose like the storied Phoenix from the ashes. What this means is a new battle for CUE. I didn’t see this or argue it in my filings. I didn’t know about it. I guess this means dismissal without prejudice and another trip to the RO for a do over from scratch. Win or Die, right? 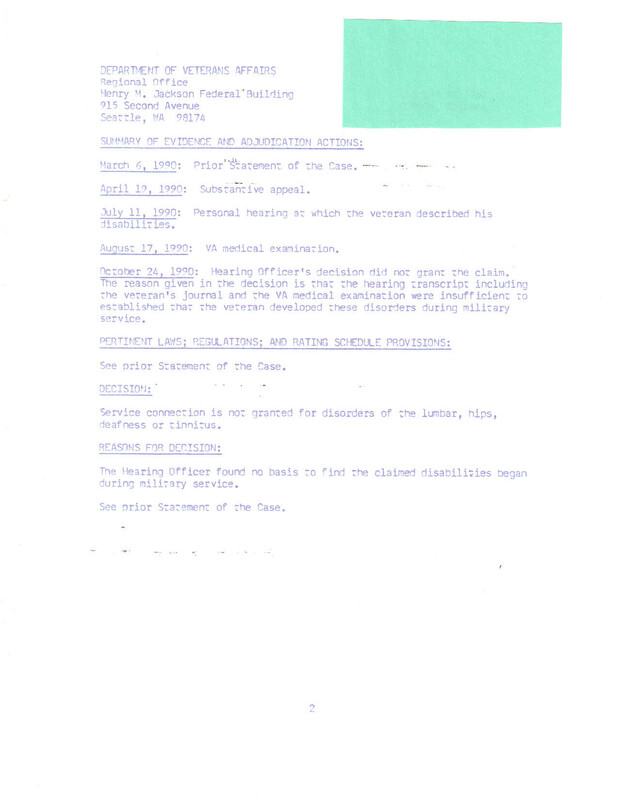 This entry was posted in CAVC Knowledge, CUE, Veterans Law and tagged asknod.org, asknod@wordpress.com, CUE, Gulf War Claims Help, Service Connection, VA CUE INFO, Veterans claims help, Vietnam Veterans Claims Help.. Bookmark the permalink. Right you are Randy!!! Win NOD, leave the dying to stupidity. Deep breath my friend. I could comment that it is unbelieveable but then again it really is not.